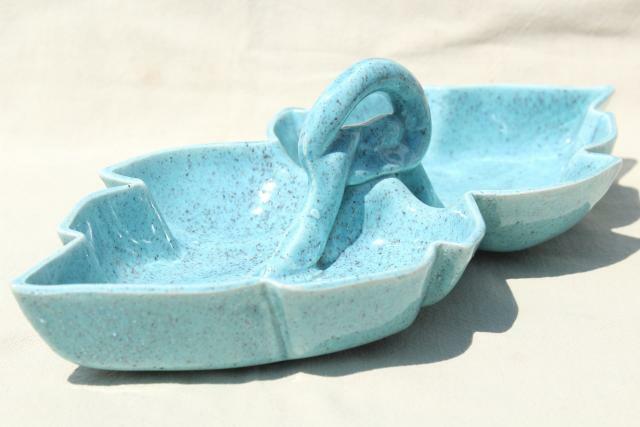 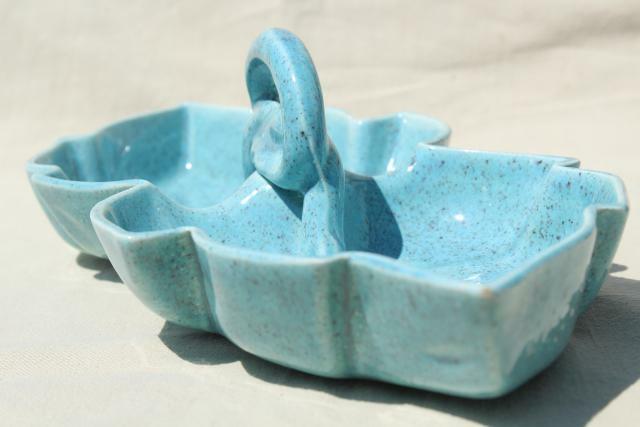 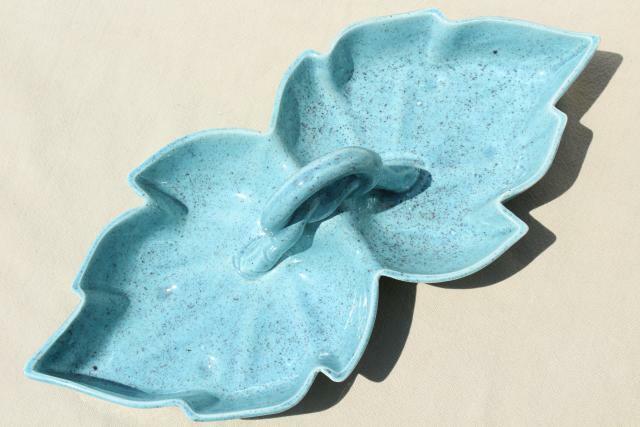 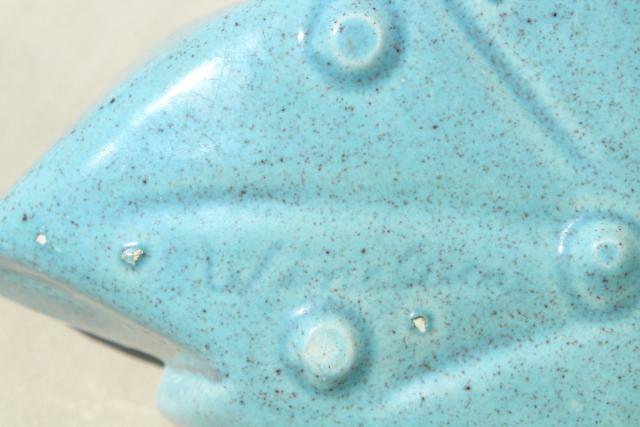 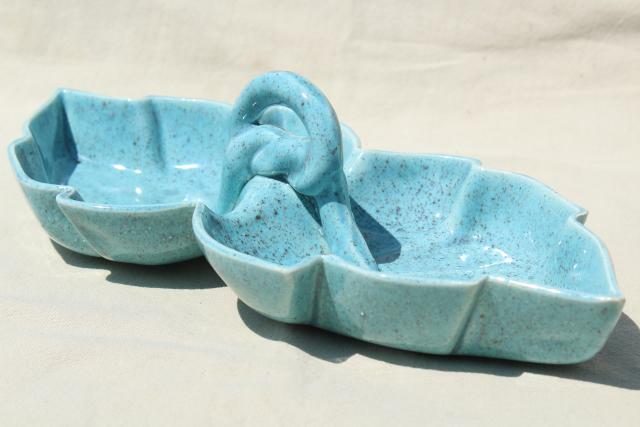 Mid-century vintage aqua speckled glazed ceramic snack or relish dish - great retro color, great retro shape! 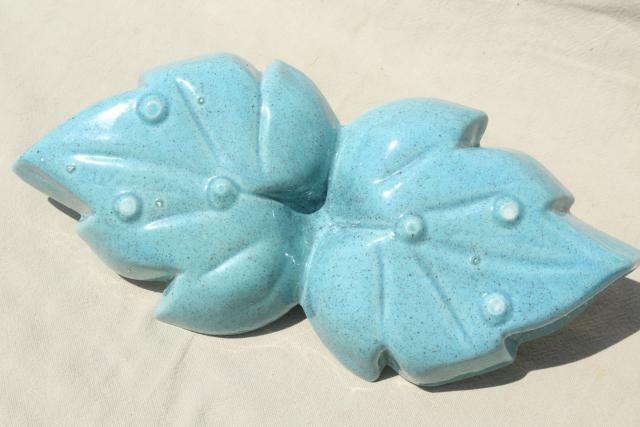 This measures about 12" long end to end across the leaves. 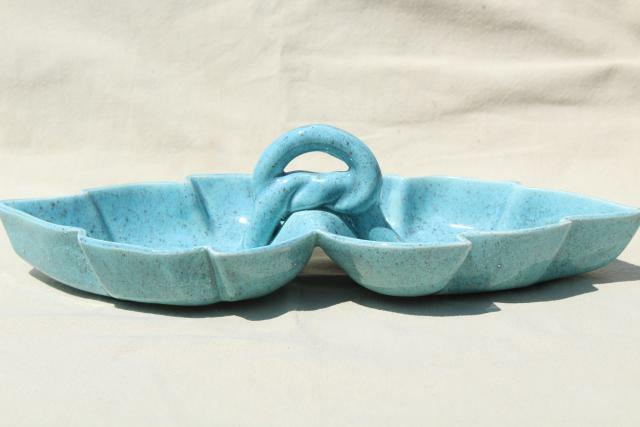 It's in very nice condition without damage.